Excited to share our newest event! 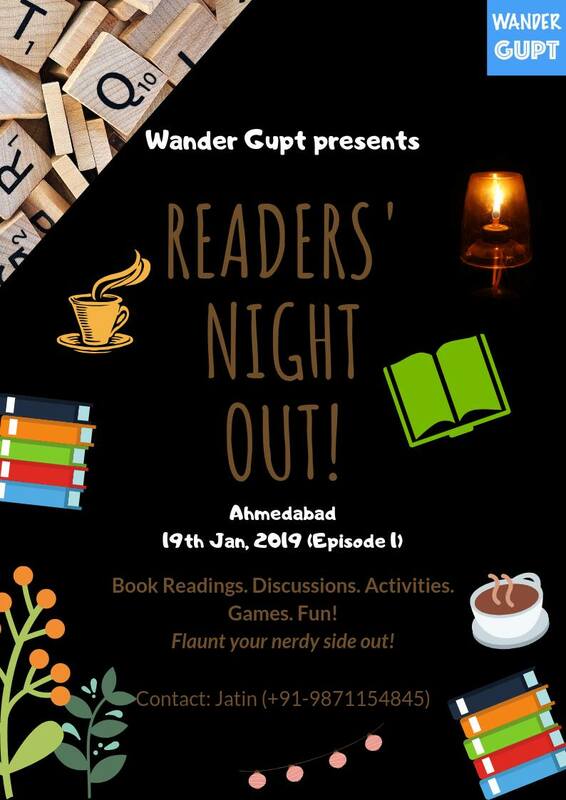 An evening designed for the literary enthusiasts to get together with the tribe, read, talk and discuss books into the night! Imagine reading out passages from your favourite books sitting in the company of like minded people, enacting scenes, while the creatures of the night play their own tunes! Several activities, fun games planned for you to have a magical experience. Plan: A beautiful property, big lawn cozy interiors has been selected as the venue in the outskirts of the city. We’ll arrive there around 5pm on 19th Jan (idea is to engage in some fun activities in the daylight). Activities, book readings, games follow deep into the night. We’ll depart after breakfast the next morning, around 9am. Exclusions: Anything not mentioned in the Inclusions. – Drinking alcohol won’t be allowed at the event. – You are requested to bring along your water bottles so that we can minimise the single use disposable plastic glasses. – It’s a cozy property with valuables. Any damages thereof are to be borne by the participant.